WineKeeper Showcase 3-Bottle (Black) Argon (P/N 10538). Portable, elegant, and lightweight, the WineKeeper Showcase is designed to be easily branded with your corporate logo. 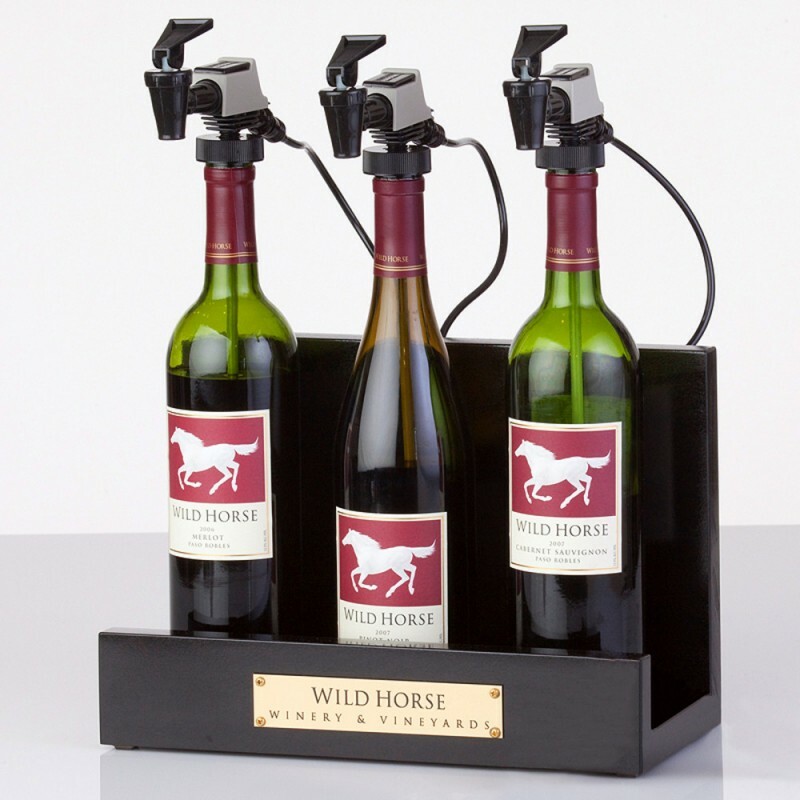 It uses disposable argon cylinders to protect the wine from oxidation and spoiling, allowing you to dispense glasses from open bottles for an extended period of time. Streamlined and sophisticated, The Showcase is perfect for your board room, promotional gift, or as a signature piece at home.